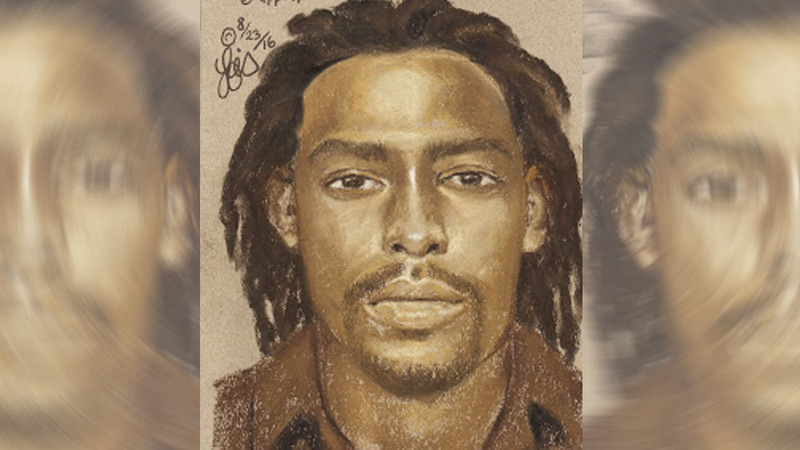 Sketch of suspect released by authorities in north Houston home invasion. HOUSTON (KTRK) -- Authorities are searching for a man accused of robbing a home while a female victim babysat two young children in north Houston. On August 10, a male suspect was able to force himself inside the home, located in the 4300 block of Oxford Street, after the victim opened the front door. Authorities say the suspect then placed the barrel of a gun on the back of the victim's head. The two children were forced on the ground and towels were placed over their heads, investigators said. The victim told authorities there were at least two people inside the home. One of the suspects is described as a black male, 20-30 years old, approximately 6 feet tall, skinny build with dreadlocks and a goatee. Anyone with information is asked to call Crime Stoppers at 713-222-TIPS. A reward of up to $5,000 for information leading to an arrest is being offered.